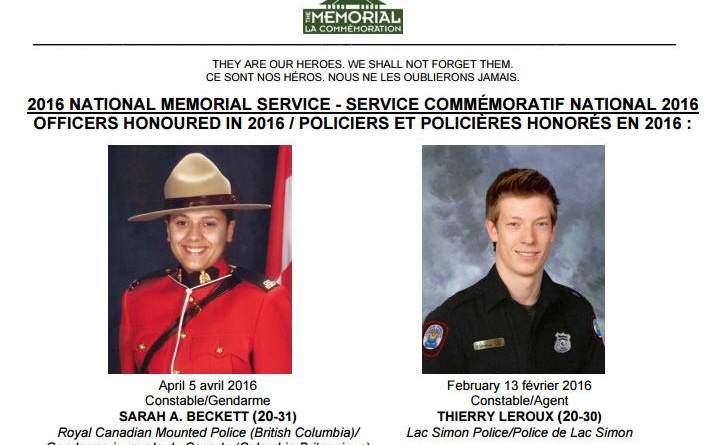 Tragically, this year we will be adding two names to the Canadian Police and Peace Officers’ Memorial, along with three historical names. At the conclusion of the Ride to Remember, there will be a ceremony for the family, friends and cyclists at Parliament Hill. 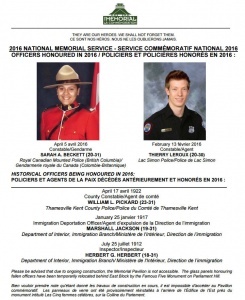 A public ceremony of remembrance will be held on Sunday, September 25 at 11 a.m. Please join us and show your respect to our fallen heroes.